Fall is the perfect time to take care of your vehicle’s heater core. You vehicle’s heater core can be that part you forget about, but it’s getting cold out and you don’t want to be without heat. The heater core is a radiator-like device that regulates the temperature inside your vehicle. The heating system in the car consists of the heater core and blower motor. Both have to be functioning properly for your vehicle to produce hot air. How it works is by the air absorbing the heat from the coolant and escapes from the heater vents providing warm air. If the heater core becomes clogged or if it starts leaking, the coolant will not be able to flow through it. The heater core is made up of small piping that has numerous bends. Clogging of the piping may occur if the coolant system is not flushed or if the coolant is not changed regularly. If you smell antifreeze or it is difficult to defog your windshield, the heater core is probably leaking. Need a new heater core or related part? 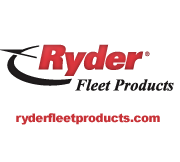 Ryder Fleet Products is the leading provider of truck air conditioning and heating parts. Our stock of AC Compressors, blower motors, clutches, freon and more are perfect for your truck’s air conditioning and heating needs. We can assist in cross references, application guides, and pricing. View our selection of heater core parts here and stay warm this winter in your truck!